Every May, members from the Minneapolis Heritage Preservation Commission, the AIA Minneapolis, and Preserve Minneapolis partner to host the Minneapolis Heritage Preservation Awards. The program was created to honor and celebrate the projects, people, and organizations that advance the goals of historic preservation in Minneapolis. While the jurors would love to award every project that has added to the historic character of the city, they have to narrow the list and choose those that stand above the rest. The awards are separated into five categories: Historic Restoration, Rehabilitation or Adaptive Reuse Projects, New Addition to an Historic Building, New Construction Within a Historic District, Grassroots: Advocacy and Education, and the Steve Murray award. This year there were fourteen submissions in four of the five categories. Projects were judged based on their design, architecture, workmanship, materials, and whether they made a positive impact on the neighborhood or community. The submissions for the Grassroots and Steve Murray awards were judged based on the relevance to current and emerging preservation issues and the specific potential for how the work positively impacted the neighborhoods and communities. The two winners in the Historic Restoration, Rehabilitation, or Adaptive Reuse Project category were 700 Central and the Hewing Hotel. 700 Central, taking its name from its location, is an adaptive reuse of an 1897 timber frame building with additions completed in 1909 and 1922. The renovation work transformed the dilapidated warehouse into a booming restaurant with apartments above. The Hewing Hotel creatively adapted a 5-story historic building in the Warehouse Historic District to fit their 124 room boutique hotel through the addition of a 6th floor that preserved the original cornice. Two projects captured the awards for New Addition to an Historic Building – the Charles Frederick Keyes House and the Emerson Residence. The owners of the Charles Frederick Keys House masterfully restored the front porch of the 1904 house to its original state, adding a large addition to the rear of the house that did not detract from the rest of the structure. The Emerson Residence project adapted the building to fit the lifestyle of the current residents while maintaining the arts and crafts charm of the 1911 home. One winner stood out among the rest in the Grassroots: Advocacy and Education category. Robin O’Brien has slowly added to the list of North Minneapolis homes getting a second life. Doing most of the work herself, she has made an impact on the surrounding neighborhood, getting to know residents as she restores the old homes. She even brought in Preservation Alliance of Minnesota (PAM) to host several workshops to teach others skills like plaster and window repair. The final award winner is Dr. Robert (Bob) M. Frame III, who deserves the honor of the Steve Murray Award. Bob has contributed immensely to the field of historic preservation throughout his 35 year career. Most recently, he dedicated countless hours of research to develop the National Register of Historic Places historic context titled “Grain Elevators in Minnesota to 1945.” He used this information and volunteered his time to author a National Register Nomination for the Electric Steel Elevators in an effort to save them from demolition. 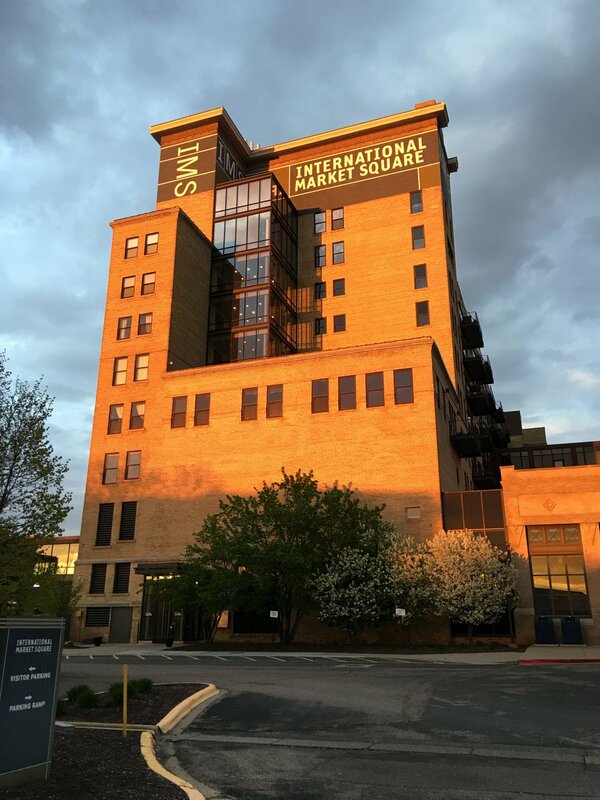 We welcome anyone interested to attend the 26th Annual Heritage Preservation Awards Ceremony and celebrate these preservation victories on May 18th at 11:45 a.m. at International Market Square, Suite 185, Minneapolis. The event is free and open to the public, however there is a $20 charge for the luncheon. To register for the event go to the Minnesota AIA Chapter website.